Scientists have found a surprising reason for the Aedes aegypti's reign of terror. The Zika virus is an outbreak that came out of nowhere — but mankind may have helped it happen, some scientists are saying. Zika is sweeping across South America and has started a worldwide panic over the mosquito-spread disease, and Johns Hopkins University neurologist Dr. Carlos Pardo Villamizar says that climate change and deforestation may have a lot to do with it, according to a Los Angeles Times report. 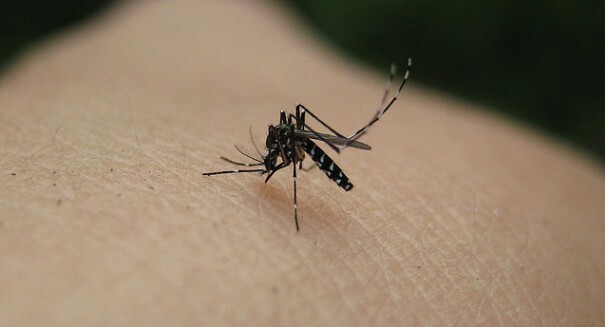 Villamizar says that warmer climates may have made the world more habitable for the Aedes aegypti, the main carrier of the Zika virus, something he believes because dengue, another mosquito-borne illness, is spreading more rapidly as well, and deforestation has been linked to the Ebola outbreak in Africa which recently ended. And the consequences are dire. Zika may be leading to a 50 percent increase in Guillain-Barre, which is a nervous system disorder that results in partial paralysis. It also results in microcephaly in newborns, which is when they have abnormally small heads. Zika was first observed in the 1940s but it didn’t emerge from dormancy until 10 years ago in Micronesia, where it began its slow spread to other parts of the world and is now in full-fledged outbreak mode in Brazil. But as climate change continues to worse and global warming takes hold, Villamizar believes that such outbreaks will be one of the consequences, according to the report.